Many early adopters of sustainable smart city technology employed a technocratic approach. The dominant visions of these future cities, such as in the “eco smart city” , address environmental sustainability through the optimisation and rationalisation of urban processes, making them more efficient and therefore more sustainable. However, critics claim that such approaches are too simplistic, are unable to deal with the complexities of real, messy cities  and perform sustainability in specific ways that leave little room for participation and citizen agency [7,11,19]. Furthermore, the technocratic approach limited the actual social benefit people could expect from their urban habitat, and this has led to a participatory turn in smart cities [e.g. [1,12]. For example, many local governments have started using human-centred and participatory design for the integration of technology in urban environments to address issues of sustainability. However, the turn to participation within smart cities fails to address a human-exceptionalist notion of cities, in which urban space is designed for, and inhabited by, humans only. Within the age of the Anthropocene – a term used to refer to a new geological era in which human activity is transforming earth systems , accelerating climate change and causing mass extinctions  – a human-centred perspective is increasingly seen as untenable. In fields such as STS [10,13], environmental humanities [15,17], geography [2,21], planning , design [5,8,25] and HCI , scholars are expanding and challenging traditional binaries of Western thought such as City/Nature, Human/Non-human, to consider the entanglements between human and nonhuman worlds including in urban contexts, and the ways in which we can conduct participatory research in morethan- human worlds, in order to overcome problematic narratives of human privilege and exceptionalism. The aim of this interdisciplinary workshop is to move the field of participatory design for sustainable smart cities forward by bringing together designers, practitioners, and researchers to explore what it means to co-design genuinely sustainable cities that take into account the ways in which cities and nature, and humans and non-humans are interrelated and interdependent, for the co-creation of environmentally and socially just postanthropocentric cities. We aim to develop new conceptions that move away from traditional binaries and open up new possibilities for thinking about participatory design for urban environments in hybrid digital-physical space. We also aim to explore practical ideas about how more-than-human perspectives can shape actual participatory design practices and policies related to cities. For example, we might explore design responses to new legal rights of non-humans such as trees and rivers  and how their participation is negotiated in urban processes in hybrid digitalphysical space . .. “World-making”, what could a more-than-human city be? We welcome researchers and practitioners working on design cases, prototype development and artistic installations, as well as those working on theoretical, critical, legal, or ethical perspectives, including those from STS, environmental humanities, and other disciplines. We welcome methodological contributions, such as object-oriented ontology , non-human ethnographies , speculative design, and actor-network and assemblage theories related to decentring the human in design. The submissions will be reviewed by the workshop organisers for relevance. Our workshop venue capacity is 40. If participants exceed places, we will choose a balance of different perspectives on the workshop topic. The edited collection arising from the 'In conversation with...' project is now available from Routledge. Ebook options are available, or ask your library to order the hardback. informing user-centered approaches to the design of technology intended for animals, by systematically exploring, adapting and evaluating theoretical and methodological frameworks and protocols derived from both interaction design and animal science. Building on a series of ACI events (SIG meeting at CHI2012, workshops at NordiCHI2014 and BHCI2015, symposia at AISB2014 and MB2016, 1st and 2nd congress at ACE2014 and ACE2015), to advance this area of research and practice, and to support the emergence of ACI as an academic discipline, ACI2016 will be held for the first time as an independent conference and will take place at The Open University (OU), which is home to the OU’s Animal-Computer Interaction Lab. Design - interaction modalities that may need to be developed in order to make technology accessible to other animals; novel designs for users with different sensorial apparatuses, cognitive capabilities, and ergonomic characteristics; multisensory interfaces and alternative interactional paradigms appropriate for ACI; design solutions developed within ACI applications that could inform design within HCI. Methodology - methodological frameworks enabling animals to actively participate in the design process as legitimate stakeholders, contributors and users; HCI methodologies that can be called upon when designing with animals or investigating how technology affects them and their interactions with humans; methodologies that can be adapted from HCI or derived from other disciplines; more-than-human approaches developed within ACI that could contribute to HCI practices. Theory - main challenges that ACI researchers may encounter in conceptualizing the interaction between humans, animals and technology; ways of interpreting the outcomes of applied studies, concrete designs and research practices to articulate such interactions; existing theoretical frameworks from HCI, animal science, or other disciplines, that ACI theories can draw from or contribute to. Ethics - legitimate technological applications for ACI; implications of ACI’s animal-centered perspective for conducting research that involves animal participants; ethical frameworks that may or may not be suitable to support the development of ACI; relation between ethics and methodology in ACI; potential influence of ACI ethics on ethical aspects of HCI research. Applications - ACI applications that can improve animal welfare or human-animal practices in a range of contexts; animal technologies that do or do not constitute good examples of or models for ACI. Life's Journey on the Torridge is a film from the Boat Stories project, which is described as "a series of ten short documentary films about people whose lives revolve around fishing and working boats in northern Devon". This particular film focuses on Dave Gabe who was our skipper on the In conversation with water workshop. You can read more about the making of the film, or just watch it below. Thanks to Antony Lyons for the heads up. 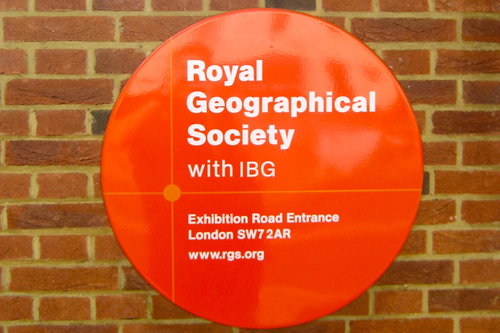 There's now only three weeks to go until this years RGS-IBG (Geography) conference in London. We're very excited to be hosting a full day of sessions exploring the potential interconnections between more-than-human frameworks and methods of co-production. We have a really exciting group of international and local scholars looking at the construction of boundaries and interfaces between human and non-human 'knowers'; creative co-production of place with non-humans; issues to do with communication and representation; embodied entanglements between human and non-human and challenging the positionality of the one who 'knows'. Come along on Wednesday. We'll be in Electrical Engineering Building, Room 403a, Sessions 1 through 4. Hope to meet some of you there! If not, I'm sure there'll be some live tweeting going on. CFP: Participatory Democracy's Non-Human and Non-Living "Others"
Public Science Project CUNY, New York, May 2nd 2014. This international workshop will explore the roles played in participatory democracy by forms of agency that exceed the boundaries of the conventional individual subject, including the non-human and the non-living. We invite contributions exploring unconventional forms of agency in participatory practice, or which introduce experimental methods, concepts and projects for doing so. Ways of knowing whether or not non-human engagements have been successful. We invite proposals for short presentations, pecha-kucha (see http://www.pechakucha.org/), installations, artworks, performances, or other formats. We also welcome participants who would like to contribute to the discussions but not make a formal presentation. For further details, see http://www.authorityresearch.net/participations-non-human-and-non-living-others-new-york-workshop.html. Please indicate your interest in attending the workshop by filling in the online form at by March 26th 2014. The event is funded by the UK Arts and Humanities Research Council, and there is no fee to participate. Lunch will be provided. Applicants will be notified within a week of the deadline for expressions of interest. For further information, please contact Tehseen Noorani (Tehseen.Noorani@jhu.edu) or Julian Brigstocke (Julian.Brigstocke@plymouth.ac.uk). 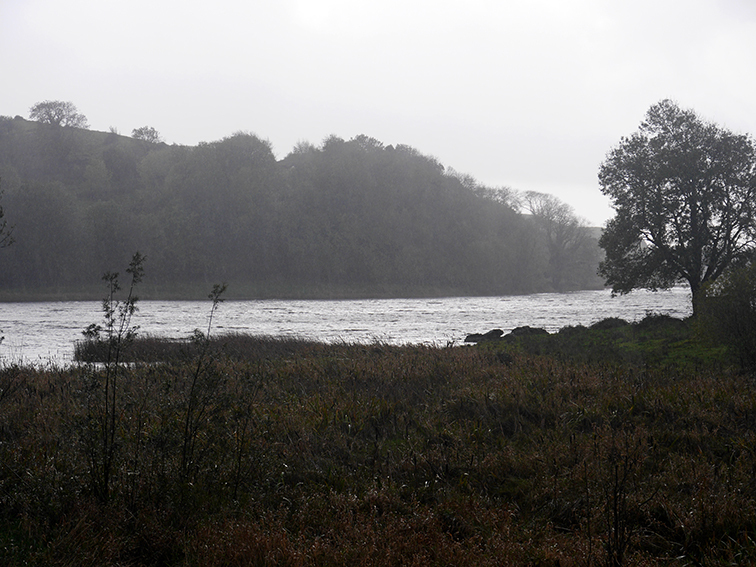 Our fourth workshop took place on the 1-2 of October at/on/in the River Torridge. 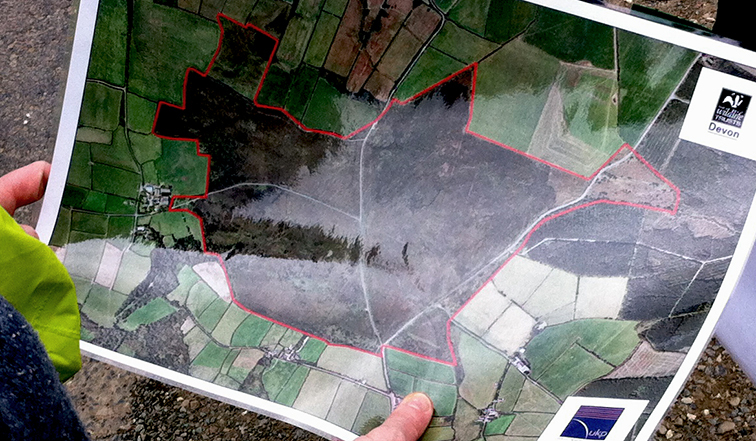 We worked with artist Antony Lyons and members from the North Devon Biosphere Reserve and the Devon Wildlife Trust to explore whether the recent Connected Communities-funded Ethical Guidelines for Community-Based Participatory Research might be extended to working with non-humans, specifically water. This is the seventh in a series of reflections on the workshop from our participants and is written by Julian Brigstocke. The idea of including 'the elements' in participatory research, and even participatory democracy, might seem whimsical. After all, the essence of politics, according to one influential tradition of thought, is action; and it is also this power to act that distinguishes the human from ‘mute’ nature. According to the philosopher Hannah Arendt, the space of politics (as opposed to the space of the social) is one that exists outside the cyclical rhythms of nature and makes possible the start of something wholly new ­­­­­­­­­­­­­­­­­­­­­­­­­­– a break from the eternal return of identity. The question posed to us by this workshop, then, demanded a rather different way of thinking about the politics of water. Does water have the capacity to act (to originate something new)? Can it speak? What kind of practices must we invent in order to listen to it? We know, of course, that water can be immensely powerful. The news media continually fold water into political discourses through dramatic images of the destructive power of its presence, circulation or absence: floods, droughts, storms, torrents, waves, surges, tsunamis, glaciers. Our own encounters with water on this workshop, whether walking, swimming, or sitting on a boat, invited us to reflect on other powers: the power to evade, to transport, to conduct heat, to reflect light, to nurture life, to hasten death, to enliven the senses. Yet if water were somehow to be introduced into the sphere of democratic politics, it would not be enough merely to recognise and harness its power. Because democracy always requires structures of representation, participatory democracy requires not only a redistribution of power, but also a democratisation of authority. In other words, it needs a more egalitarian distribution of the capacity to guide, to offer advice, and to make claims that demand a response from the powerful. The challenge of participating with water, then, is an invitation to ask how water might be afforded democratic authority, rather than grasping political power. We have forgotten, perhaps, how to be guided by more-than-human life. What kind of authority might water exercise? Classical models of politics tend to revolve around key figures of authority such as doctor, teacher and priest. Authority figures such as these offer verbal advice that cannot safely be ignored. The richly embodied nature of the activities of the workshop, however, suggested that taking advice from water will involve less representational manoeuvres. The authority of water is likely to lie, not so much in its ability to enter ‘in conversation with’ human others, or to stride forth into the demos, as in its capacity to co-operate in a democratization of the senses and a re-education of the body. Water can perhaps take on a role of healing, teaching, and spiritual guidance. Indeed, it has deployed this more-than-human authority in many different ways throughout history, not least in the major world religions such as Hindu that take guidance from water as a sacred space. What, then, does water teach us, and how might this invigorate democratic politics? As with all democratic teaching, the lesson will offer different things to different students. Water, after all, takes an infinite variety of different forms, and it already participates in every aspect of our lives. The activities of the workshop, tracing the flows and traces of water in the biosphere, navigating the river, loping barefoot in the mud, leaping in the water, forced me to think about water’s indifference to human affairs, its vastly expanded temporal horizon. Water’s lesson, perhaps, doesn’t come from ‘listening’ to it, or from trying to ‘think as’ water through a kind of empathic communication, but from encountering it in its difference, its muteness, its remoteness from human concerns. Indeed, it is this blankness, this link to the distant past and far future, that is the mysterious source of water’s authority. 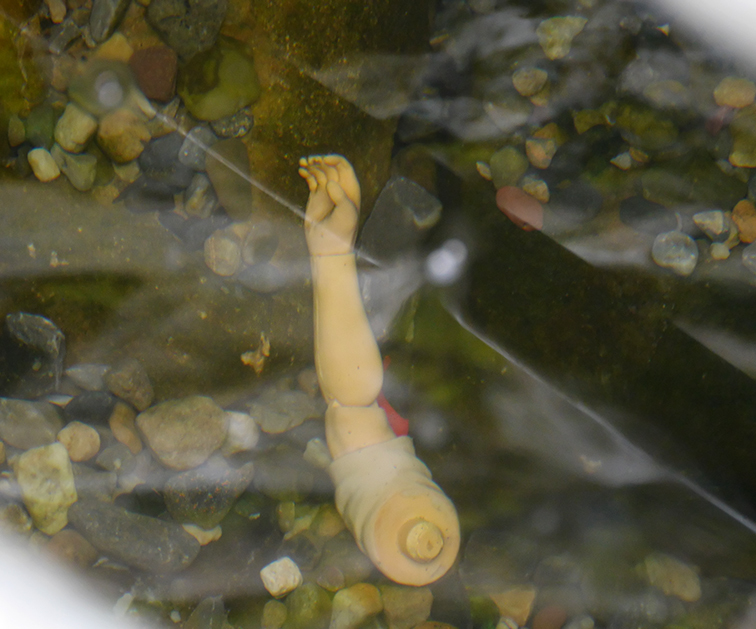 Our fourth workshop took place on the 1-2 of October at/on/in the River Torridge. 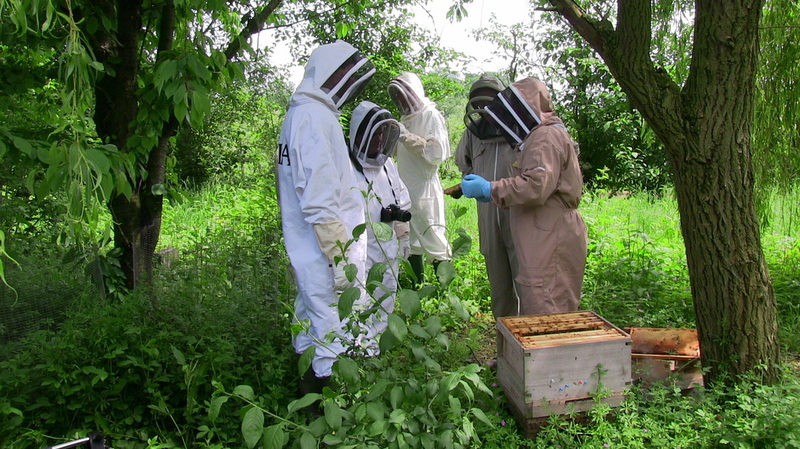 We worked with artist Antony Lyons and members from the North Devon Biosphere Reserve and the Devon Wildlife Trust to explore whether the recent Connected Communities-funded Ethical Guidelines for Community-Based Participatory Research might be extended to working with non-humans, specifically water. This is the sixth in a series of reflections on the workshop from our participants and is written by Antony Lyons. Recently, I was invited to a viewing of a documentary film about artist Anselm Kiefer, Over Your Cities Grass Will Grow, which contains some musings on water and life, including a kind of yearning for our origins in the salt seas (Kiefer comments on the similarity between the composition of our blood and that of sea-water). In a way, this echoes some narration text I wrote for a recently presented short film, alluding to a theory of connectedness between human brain evolution and shoreline dwelling/food supply (the Littoral Theory); the undeniable therapeutic influences of water and the sea; and of some interest to this theme, there is the Aquatic Ape Hypothesis. 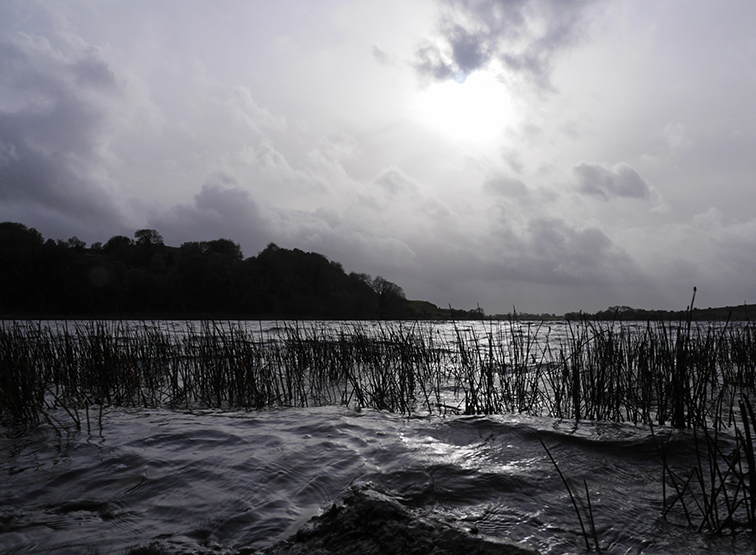 Below, I offer some images from a recent trip (back) to Lough Gur in Ireland - a watery place with which I've been connected since my early childhood. 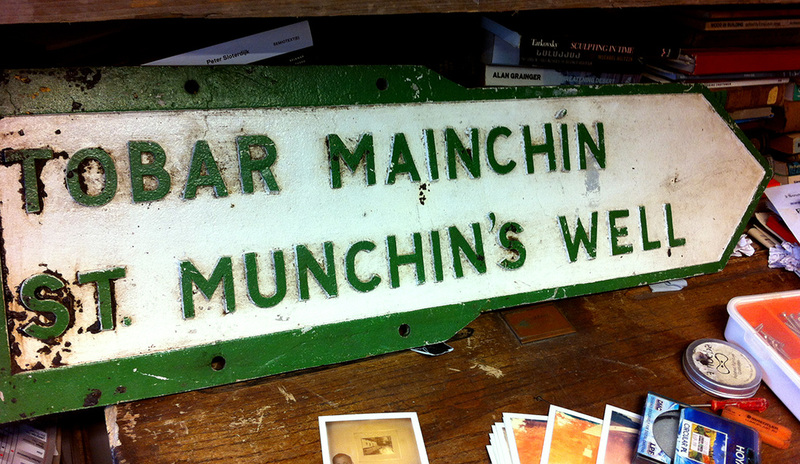 On this occasion I also sought out the nearby St. Munchin's 'holy well'; not a difficult quest, but one I've intended to undertake for many years, since stumbling across an old road-sign (to this well) in a reclamation yard in Bristol, my adopted home. The enduring reverence for this place - as evidenced by its upkeep and votive offerings - is a remnant strand of deep pre-Christian water enmeshment. This is still much in evidence closer to home - at Avebury/ River Kennet for example. Earlier this year, I also found such echoes in the mountains in Portugal - where I witnessed a living tradition of sacred respect for springs, pools and fonts. But how does this relate to our 'more than human' investigations in, and around, the River Torridge in Devon? 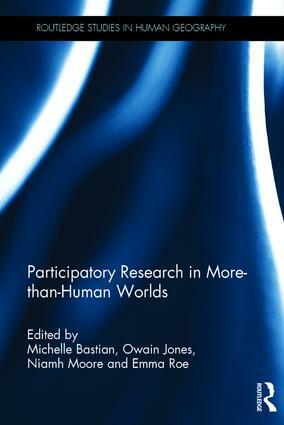 Or to participative research with water? From the standpoint of both temporal and spatial distance, one of my most abiding memories from the workshop outings is the elusiveness of the river at its headwaters, at its 'source'; and the struggle over the boggy Culm grassland, with its sponge-like quality. To a large extent, this was in the plan, and therefore not expected to be straightforward (and water never is…). Yet the immediacy of the encounter - on the ground - was richer and more resonant than I predicted. In a limited way, we (through our squelching footsteps, like the grazing cattle) were interacting with, and adjusting, the locality’s water processes and patterns. I am left with a sense of water being all-pervasive in the pores, the microscopic rivulets of the land, and present too as deeper, warmer hydrothermal flows - again echoing water in living organisms, in humans and the veins of non-humans. (In passing, I am reminded of those moon rocks I studied as a geology student, which don't possess the myriad of tiny hydro-thermal veins that are common in earth rocks). This time of year, in North West Europe, water gets everywhere; rising damp; seeping through stone and brick walls; condensation; lingering as mist outside. The ubiquity of this material is like no other. Water is sponge-like in other ways too, with its ability to dissolve/absorb a multitude of materials (salts, metals, organic compounds), but still appear unchanged. In this book I have used the findings of the two sciences of geology and archaeology for purposes altogether unscientific. I have tried to use them evocatively, and the image I have sought to evoke is of an entity, the land of Britain, in which past and present, nature, man and art appear all in one piece. I see modern man enjoying a unity with trilobites of a nature more deeply significant than anything at present understood in the processes of biological evolution. I see a land as much affected by the creations of its poets and painters as by changes of climate and vegetation. There is mystery and unknowability with water, as with any other non-human or human entity. One approach which currently interests me involves the practical insights that can emerge from changing time-frames (speeded-up or slo-mo film or sound). Our perceptions are locked in our time-relationship to the world; we are trapped by our senses and cognition. Other living/dynamic systems reveal extraordinary, marvelous, uncanny attributes when perceived in shifted time-frames. From macro to micro, other truths, cycles, rhythms, pulses emerge; vastly more powerful and enduring than our narrow and ultimately futile efforts of control.